Piedmont Eye Center is relocating their Lynchburg headquarters to Nationwide Drive. Construction for the new center concluded at the end of November and was slated to open as of Thanksgiving. The new location will nestle Piedmont Eye Center amongst an array of other medical centers including Gastroenterology Associates of Virginia, Radiology Consultants of Lynchburg and Centra Medical Group. testing equipment available, according to Director of Marketing Shannon Leedy. The increased space and resources will help to relieve the staff and patient overflow that they previously experienced. With approximately 70 employees between the Bedford and Lynchburg offices and 8 doctors on staff, Piedmont was bursting at the seams. “We have blown out of that building. When we [first] moved in, there was space everywhere, [and] we thought we would never fill the space up,” Leedy said. Piedmont wanted to ensure that their new space is used efficiently to create both a comfortable and streamlined patient experience. “It’s a big facility, but we don’t want to lose that ‘small town feel’ and that small town service,” Leedy said. Leedy is confident that the new center will improve the average waiting room experience for patients with their new online, check-in experience, which handles paperwork in advance and cuts down on wait time. Additionally, a second check-in area with wheelchair accessibility will also be available. The new center also houses a dedicated Lasik surgery wing complete with a gallery window for families to view procedures. “We really do put ourselves in our patient’s shoes, and we really strive to give the best customer service. This building is allowing us to meet those goals, a little bit better than the old facility did. I think patients are going to be more comfortable here,” Leedy said. Aside from new and additional space, the practice has also recently welcomed Dr. James Paauw, MD, who works as a glaucoma and cataract specialist. 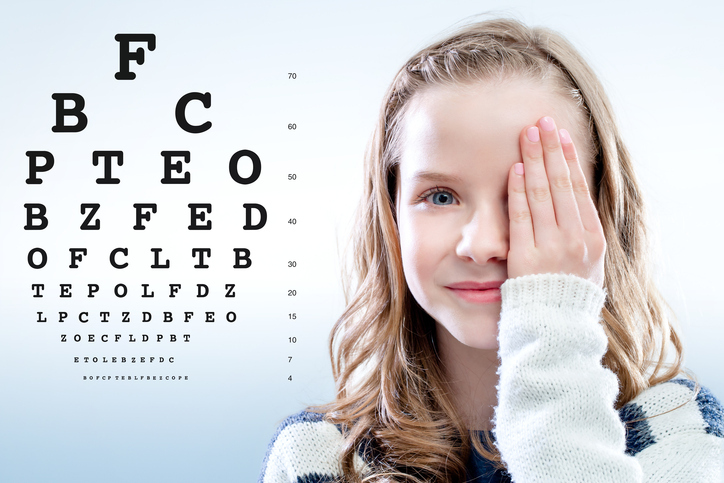 Piedmont also boasts Dr. Gail Ganser, MD, as Lynchburg’s only pediatric eye care specialist. The City of Lynchburg Department of Parks and Recreation has launched a new website at www.LynchburgParksAndRec.com. The goal of the new site is to provide Lynchburg citizens with easy access to information about the department’s many services—parks, trails, recreation programs, special events, facilities and rental information. “Parks and recreation is all about getting outside and experiencing things; we hope our new website will provide a tool to help area residents do just that,” said Ashley Kershner, Marketing and Development Coordinator. Key features of the site include a newly integrated blog; an Instagram feed featuring user posts tagged #lynchburgparksandrec; a simplified online registration process; an email newsletter sign-up; and more. The blog will be used to dive deeper into all things Parks and Rec—information about special events, historical articles, updates on park improvement projects, staff profiles and more. Users can also use the website to access important information such as park and trail maps, volunteer opportunities, facility rentals, recreation activities and scholarship opportunities. Davidson & Garrard (D&G) has been named one of the Financial Times 300 Top Registered Investment Advisers (RIA). 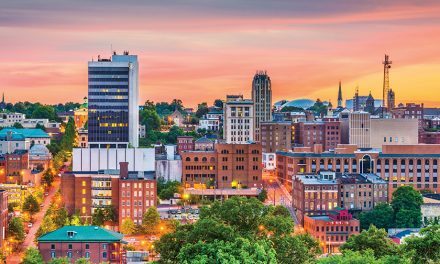 The list recognizes top independent RIA firms from across the U.S. With three Virginia offices in Lynchburg, Lexington and Tysons Corner, Davidson & Garrard has been serving individual and institutional clients for over 25 years since its founding in 1987. Managing over $600 million, D&G’s professionals have over 200 years of combined investment experience with specializations in customized equity, fixed income and alternative asset portfolios for individuals and families, institutions and retirement plans. The “average” FT 300 firm has been in existence for 23 years and manages $2.6 billion in assets. The 300 top RIAs hail from 34 states and Washington, D.C., and, on average, saw their total AUM rise by 18% in 2014. More than 2,000 elite RIA firms were invited to apply for consideration, based on their assets under management. 630 RIA firms applied for consideration and were graded on six criteria: AUM, AUM growth rate, years in existence, advanced industry credentials, online accessibility and compliance records. Davidson Doyle & Hilton, LLP (DDH) and Lewis Marsh and Associates are proud to announce the merger of their accounting firms. DDH is a leader in income tax planning and preparation, corporate financial statement auditing, financial planning, medical practice accounting and consulting, architecture/engineering/construction industry, employee benefit plan audits and the governmental and nonprofit arenas. Lewis Marsh and Associates specializes in small business bookkeeping, payroll and tax services. With the combined knowledge and depth of experience from both firms, clients will benefit from large firm resources and expertise with a small firm feel. DDH remains committed to continuing to supporting all of their clients with tax, accounting and auditing needs. This merger is an opportunity for both firms to broaden services and expertise to best serve their now combined clients. Lynchburg’s Economic Development Authority was awarded a silver medal at the International Economic Development Council’s (IEDC) annual conference in Anchorage, Ala. The IEDC’s Excellence in Economic Development Awards recognize the world’s best economic development marketing materials, programs and partnerships. The Opportunity Lynchburg website, launched just under a year ago, and digital marketing strategy won IEDC’s Silver Medal for General Website, which recognizes the best communities using the web as an effective marketing tool to promote services and other information to their audiences. In late October, Gov. Terry McAuliffe announced that Lynchburg was awarded redesignation for its Enterprise Zone. Businesses in Enterprise Zones gain unique access to both state and local incentives. However, achieving an Enterprise Zone designation is a competitive process. Each designation lasts 10 to 20 years, and the state is cutting back the number of zones across the Commonwealth. This year, 14 zones in Virginia expired from the program. 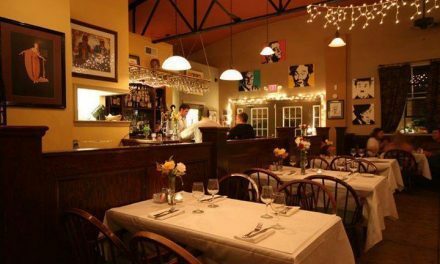 Lynchburg was one of five communities in Virginia to achieve redesignation. 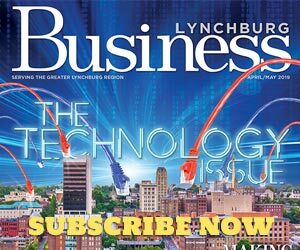 “As Governor McAuliffe indicated in the announcement, it is a testament to the Lynchburg business community…,” said Marjette Upshur, Director of Economic Development. Nearly two years after initial discussions of merging CL Lewis & Company, Inc. and JE Jamerson and Sons, Inc., the two companies have settled into their new space—an adapted Quonset hut, which had been originally purchased over 60 years ago by CL Lewis and Company, Inc. founder Mr. C. L. “Chuck” Lewis. The Quonset hut, one of 150,000 to 170,000 of the structures manufactured during World War II, was used as a storage facility until it was moved to Lynchburg and underwent extensive renovations with the purpose of housing the merged Jamerson-Lewis Construction company. The open layout allows for a creative solution to finding necessary office space. With a focus on preserving the history of the structure and reinventing it for creative and innovative purposes, the renovation of the Quonset hut proved to be both a resourceful and economical decision. The existing concrete floor has been grinded and polished—giving a nod to the history of the building and demonstrating the beauty of using original materials. Exposed framing, ductwork structure and elements that are typically hidden behind drywall or plaster, show the construction and provide a window into how things are made. The Academy can be found online through their new website AcademyCenter.org. Collaborative Health Partners (CHP) and Anthem Blue Cross and Blue Shield have entered into an agreement to bring value-based healthcare to more than 15,000 Anthem members in Central Virginia. This coordinated model puts patients at the center of the health care system by aligning Collaborative Health Partners’ comprehensive network of primary care physicians, specialists and medical facilities with Anthem’s population health capabilities and primary care support programs. The Enhanced Personal Health Care arrangement will make it easier for CHP to deliver more personalized care by using a broad range of population health management tools such as predictive analytics and chronic care, data sharing, disease management and wellness programs offered by Anthem. The agreement officially went into effect January 1, 2015. Collaborative Health Partners (CHP) is a clinically integrated physician network consisting of Access HealthCare, Central Virginia Family Physicians, Medical Associates of Central Virginia, Physicians Treatment Center and Rehab Associates of Central Virginia.